The YKK sponsored Widnes Wild will have an early opportunity to bounce back from the disappointment of their Coventry defeat – and have the chance of securing an historic third play off trophy in a row – when they take part in the Laidler Division Play Offs this weekend, 20th and 21st April, at Planet Ice Widnes. The Wild have won the play off title for the past two seasons – beating Sheffield Senators in the final at iceSheffield in 2017 and then overcoming last season’s league champions Sutton Sting in front of their home fans at Planet Ice Widnes last year. There are 3 games over the weekend – two semi finals on Saturday and the final on Sunday. As league champions, the Wild take on fourth placed Bradford Bulldogs in the first semi final – face off at 4.30pm – while runners up Telford Tigers2 play third place Hull Jets in the second semi final, which starts at 7.30pm. The winners of the two semi finals will then play in the final on Sunday at 5.30pm. Widnes, Telford and Hull all played in last season’s play offs, which most people will probably remember for the Wild’s dramatic fightback and penalty shoot-out win in the semi final against the Hull team who were leading for much of the game. Bradford are the newcomers to the play offs, having qualified for the first time ever this year and, despite having slipped from the top position they occupied earlier in the league campaign, they have still had a terrific season overall. 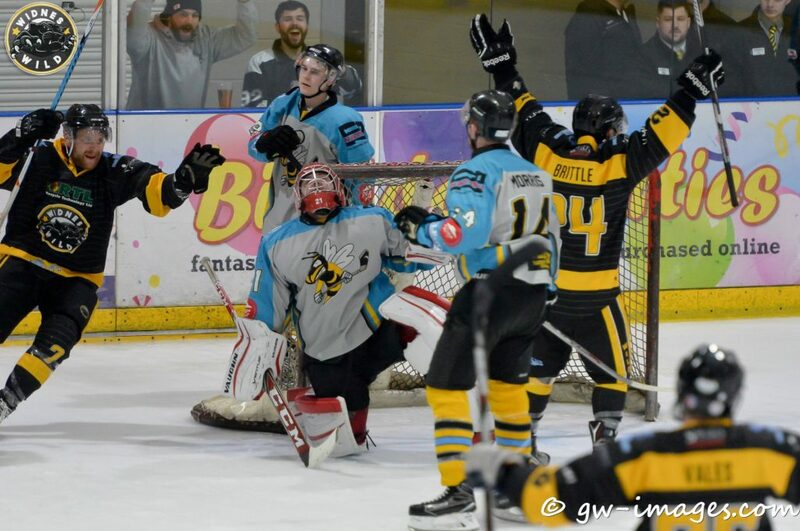 While the Wild won the Laidler Division title by 6 clear points from runners up Telford, it was the Tigers who had the better results in games between the two teams, winning 3 of the 4 meetings. However, the Tigers lost 3 of their 4 games against Hull while Widnes beat the Humbersiders 3 times over the course of the season. Just to show how unpredictable ice hockey can be, the Jets actually lost 3 games out of 4 to Bradford while Telford and Widnes both won all 4 of their games against the Bulldogs – so it will be fascinating to see what happens over the weekend. The Laidler Division Play Off weekend at Planet Ice Widnes is an all-ticket event with only a very few tickets left available. For last minute ticket information, supporters are advised to call the Box Office on 0151 420 7930.